I’ve been living in my awesome truck setup for a while now, and I’m definitely starting to get a clearer picture of which items I brought along that I truly like, use frequently, and have really proved their worth over time on the road. 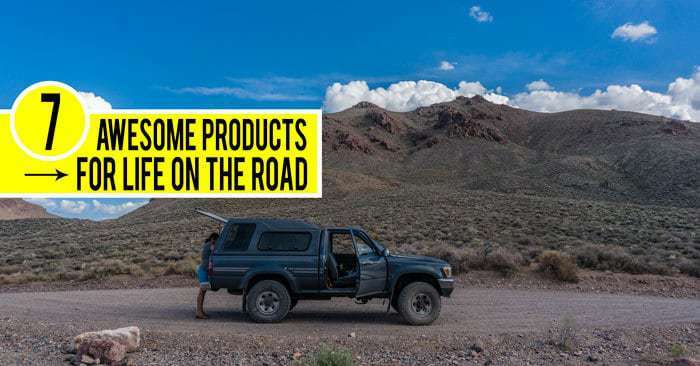 If you’re looking more for the absolute must haves, check out What You Need to Start Truck Camping. Some things can undoubtedly make your trip easier, more enjoyable, and comfortable. And unlike similar posts I’ve seen, this is not just some shout out back to the company for throwing some free gear my way. I wish! Haha! I purchased all of the below with my own money, and genuinely believe they have been awesome to have on the road. 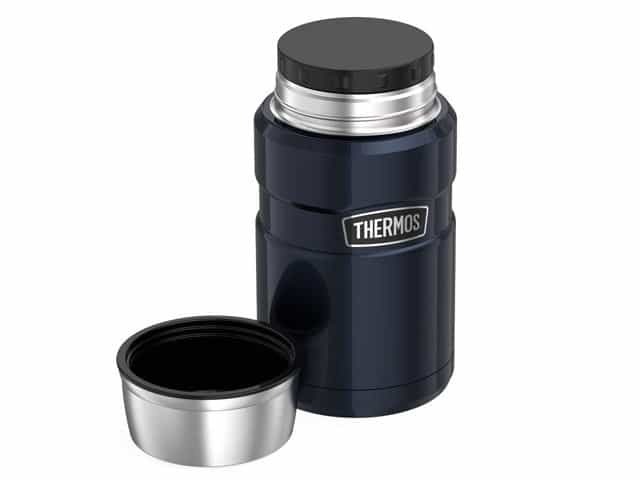 I picked up the Thermos 24oz Food Jar prior to departing with the intention of using it for cooking… and I wasn’t sure if it would work as I had anticipated. Turns out it works amazingly! Anything that requires simmer time or extended boiling time to cook, like pasta, rice, etc, goes into the food jar. It basically keeps hot things hot, and has a wide mouth for eating out of. I quickly boil water and dump the contents in, seal it up, and then wait for approximately the specified simmer/boil time on the package, and it’s done. This saves me fuel consumption and time spent watching the stove. It also keeps the food hot while you eat out of it, which is great on chilly nights or mornings. I’ve hard boiled eggs in it, and even cooked tilapia sous vide style. Awesome! I think the 24oz is the ideal size for most single serving meal sizes… And particularly works well for the quick and easy stuff I favor, like Knorr Sides with a tuna packet, or Annie’s Mac and Cheese with a Tasty Bites Indian dish. The website ThermosCooking.com has some additional recipe ideas and tips. Similar concept here… A double walled, stainless steel, insulated bottle. Keep hot things hot and cold things cold. But in this case I’ve really loved having a Hydro Flask in the desert for COLD water. Your water jugs (and everything else) are going to cook in the hot car. Drinking what feels to be nearly boiling water is no fun. The Hydro Flask has been great to keep some cool water on hand for the day… Either fill up from your water jugs early in the morning before things heat up, or visit some sort of water fountain where you can top off on the cold stuff. I picked up the 24oz Hydro Flask. A good size, but wish they had a standard 32oz size. The “sports cap” might be a good addition as well. 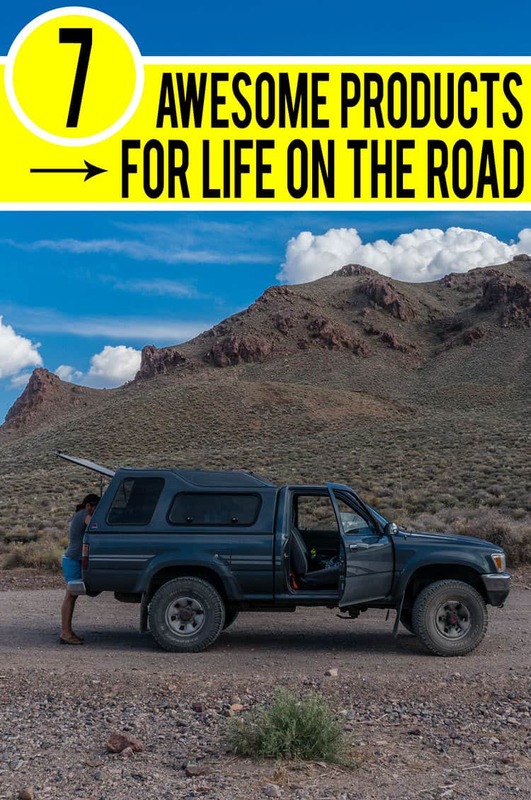 When I first hit the road and was living out of the back of my truck I was using my regular backpacking air mattress to sleep on (Neoair Xlite or All Season), which was always more than comfy on my weekend or week-long trips. In the first couple weeks on my narrow 20-inch backpacking, I quickly realized that it was less than ideal for car camping–the sticky plastic feel on bare skin, rolling off the edge of the small mat. I tend to keep things simple, and pretty basic when it comes to creature comforts while backpacking… but come on, I don’t have to be concerned with size or weight for the most part when it’s in the back of my truck (though I didn’t want the bulk of a full on futon mattress or memory foam pad). So when the REI Dividends were issued this year, I used mine to pick up the Neoair Dream. A cushy air mattress with a foam topper and a nice fabric covering. It is *so much* more comfortable than the skinny mattress. I got the large 25″ wide model, which is ideal for my truck… The extra large version is wider and longer yet–too long for my truck bed, actually. The thing also rolls up to about the size of a sleeping bag, so it isn’t too bad to store. But yeah, when you are spending every single night sleeping in the back of your truck, it is pretty important to try and maximize your comfort where possible, especially when it comes to sleep, so bring along a real pillow too! On the downside, the first one I bought did spring a slow leak after about a month, I took it back to REI to be replaced and haven’t had any problems in the time since. Cool idea… The Gomadic has an AC wall charger and a DC car charger–but better yet it has exchangeable tips to charge your variety of devices. I’ve got the Micro USB, Mini USB, and Apple iPod tips that I’ve zip-tied together so I always have ready access. This keeps all my possible charging needs accessible from one outlet (one device at a time). It’s just been handy to keep less chargers in the cab and eliminated the fumbling and searching around for that one charger when you need to get some juice in your cell, GoPro, iPod, camera, etc. This one might not be too surprising… Lots of people have jumped on the e-reader bandwagon. I love books, I love used book stores, I loved collecting books, and even struggled with getting rid of my books when downsizing for this trip. But I don’t really have room for a library in the back of my truck, so it’s awesome to be able to have a whole collection and selection of books on hand in such a tiny device. It’s great to be able to pick up a certain book I’m wanting to read while out in the middle of nowhere in the desert, thanks to the 3G access. 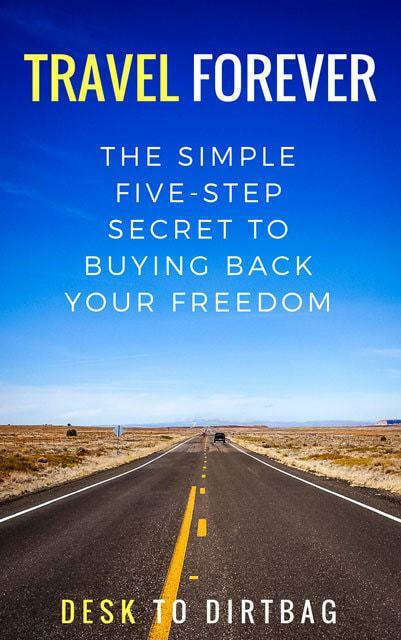 The lengthy battery life is great, there is a pretty good selection of free books available, and I also love the built in light on the Paperwhite–you can read your books at night without any supplemental overhead lights or headlamps. Only downsides I see: the new books can get a little expensive, you don’t have the ability to go pick up a random used book for a couple bucks, and unfortunately for the Paperwhite they have restricted 3G web access to only sites a few sites like Wikipedia (you used to be able to have basic free internet access–think email–over their 3G network). But all in all, if you like to read on the road, the convenience of the Kindle is so worth it, in my opinion. 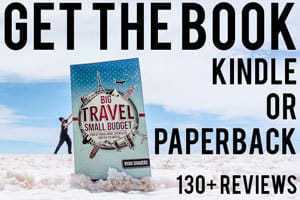 Another awesome resource that I’ve been keeping my eye on lately is fkb.me, a site which offers up a hand curated selection of the best free Kindle books every day. Another thing you might want to consider is getting Amazon Prime. 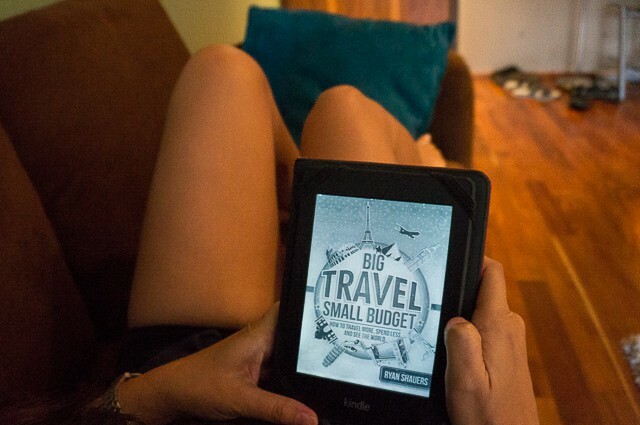 I love having the Prime Membership which offers free access to their online streaming media, free book borrowing for your Kindle (you can borrow my book Big Travel, Small Budget for FREE! ), as well as fast two day shipping. 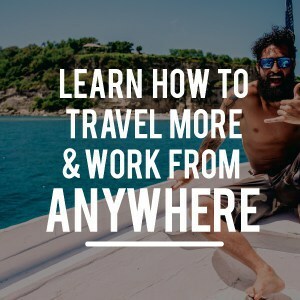 A worthwhile exchange dropping your $ cable bill for an Amazon Prime membership (get started with a FREE 30-day trail here). You might even learn something with the book borrowing. Delicious, fresh coffee made from my tailgate! 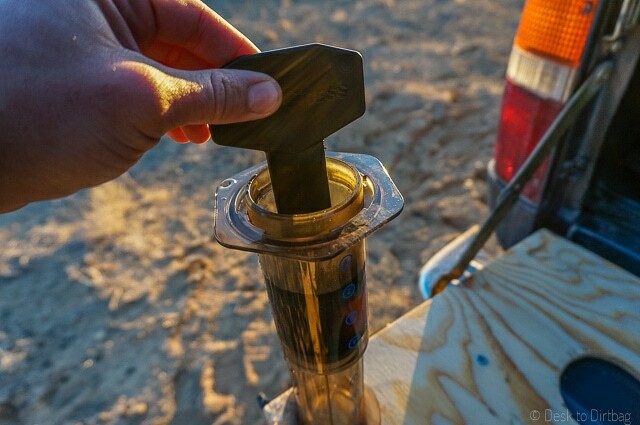 I’ve already written a full post and review about this one, see How to Make the World’s Best Cup of Coffee While Camping. 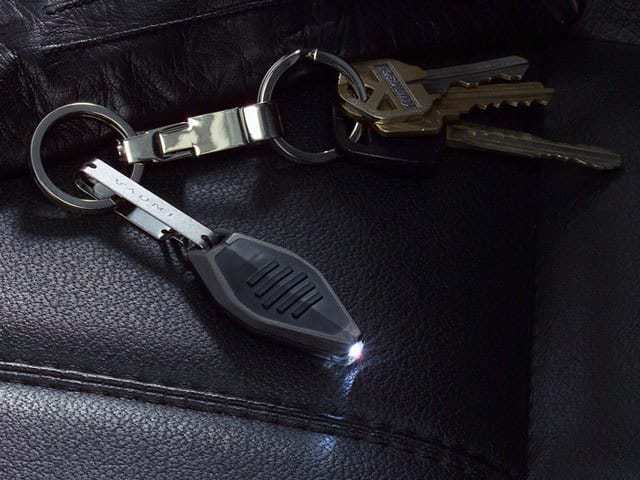 A mini, flat little flashlight that you can clip onto your key chain. I would call this one almost essential. I use it *so* much. It is so very convenient to have a little light on hand–when you need to navigate dirt parking lot mud puddles in the dark, make your way to wherever you last put your headlamp, or any other quick need for illumination. The Inova Microlight is surprisingly bright for such a small little thing, it isn’t noticeably large in my pocket, and the battery lasted for more than six months before it had to be replaced. UPDATE: It finally bit the bullet after about two years–the rubber button came loose and got pulled off and later the actual button contact disappeared as a result. I really miss the little flashlight, my cellphone just isn’t the same. 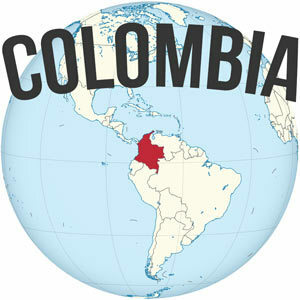 But I was finally able to replace it at an outdoor store in Panama City… Definitely missed it! I will update my take on the above items as time goes on, and might possibly add other things as they jump out to me. Join the private Facebook group Pickup Truck Camping to ask questions and share your insights. Disclaimer: I paid for all of the above items with my own hard earned money (or my REI Dividend), and the associated companies did not advocate for nor contribute to the above review. I have included affiliate links through Amazon, providing me with a small commission if you purchase after clicking through. This money goes toward my Amazon Kindle book fund, thanks! Thanks for all the tips. 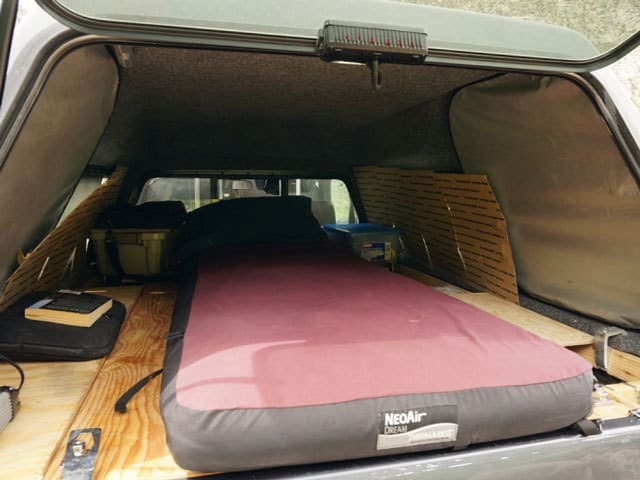 I am in the process of outfitting a Silverado Pickup (Short wheel base) and still am trying to figure out the best sleeping pad configuration. I have one question for you with respect to solar battery charging. Do you think a small (easily stored ) solar panel charger would be practical to charge small items like a cell phone , computer, fan etc. Have you tried this type of battery charging or just used the “isolated” truck battery system. Thanks for your blog it is awesome. Hey Sam, I think it makes a great addition, particularly when you’re just hanging out around the campsite. I use the BioLie SolarPanel 5+ for just such purposes (and for hiking/backpacking), but it is only a USB charger — so it wouldn’t work with your laptop. You’d have to get something more robust for charging a laptop, perhaps look at Goal Zero. Dude, this is an awesome post. I have been fooling around with car camping and these tips seem like they would make a huge improvement in my little experiments.